The GATK team's recent 3.x release has a solution to these issues: Incremental joint variant discovery. 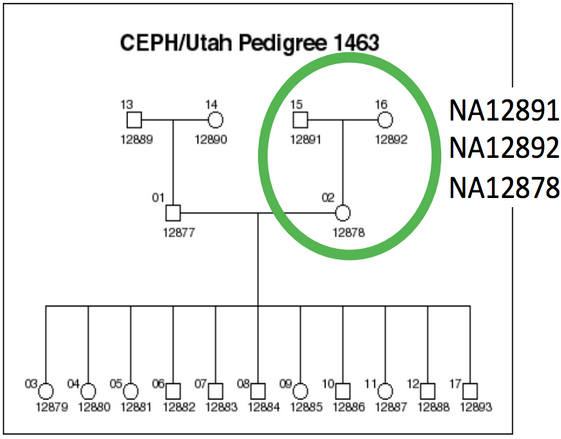 The approach calls samples independently but produces a genomic VCF (gVCF) output for each individual that contains probability information for both variants and reference calls at non-variant positions. The genotyping step combines these individual gVCF files, making use of the information from the independent samples to produce a final callset. 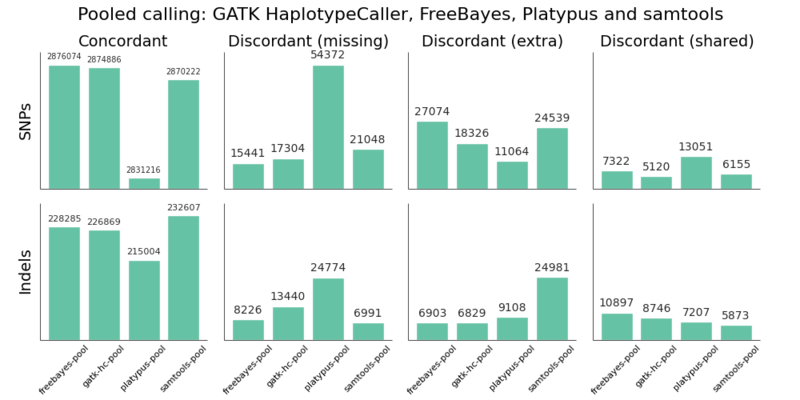 FreeBayes (0.9.14-15) – A haplotype-based caller from Erik Garrison in Gabor Marth's lab. samtools (1.0) – The recently released version of samtools and bcftools with a new multiallelic calling method. John Marshall, Petr Danecek, James Bonfield and Martin Pollard at Sanger have continued samtools development from Heng Li's code base. Joint calling – Calling a group of samples together with algorithms that do not need simultaneous access to all population BAM files. GATK's incremental joint calling uses gVCF intermediates. Our generalized implementation performs recalling using individual BAMs supplemented with a combined VCF file of variants called in all samples. bcbio.variation.recall generalizes to any variant caller that supports recalling with an input set of variants. Knowing the context of potential variants helps inform better calling. This method requires having the individual sample BAM file available to perform recalling. Having the reads present does provide the ability to improve recalling by taking advantage of realigning reads into haplotypes given known variants, an approach we'll explore more in future work. The implementation is also general and could support gVCF based combining as this becomes available for non-GATK callers. Generally, we don't expect the same advantages for pooled or joint calling in a trio as we'd see in a larger population. However, even for this small evaluation population we can see the improvements available by considering additional variant information from other samples. For Platypus we unexpectedly had better calls from joint calling compared to pooled calling, but expect these differences to harmonize over time as the tools continue to improve. Combine variant calls with local reassembly to improve sensitivity and precision. Erik Garrison's glia provides streaming local realignment given a set of potential variants. 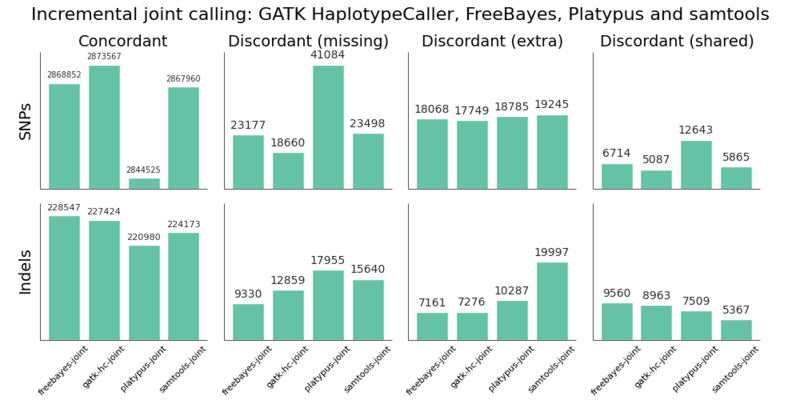 Jared Simpson used the SGA assembler to combine FreeBayes calls with de-novo assembly. 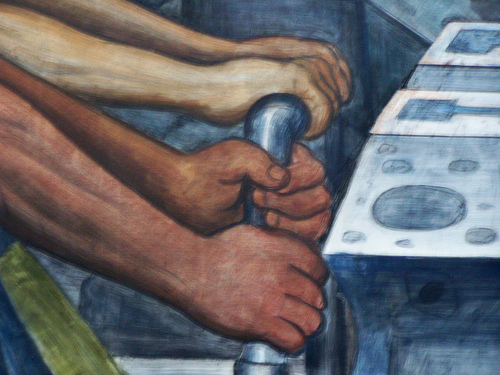 Ideally we could identify difficult regions of the genome based on alignment information and focus more computationally expensive assembly approaches there.